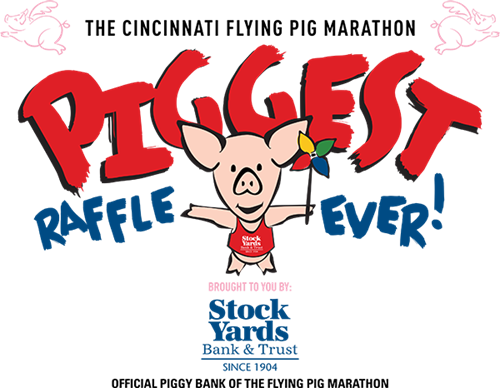 Have you heard of the Piggest Raffle? It's a raffle that is organized by The Cincinnati Flying Pig Marathon! The best part, is that tickets are only $5 and 100% of that goes to the organization of your choice. So, not only do you get entered in the raffle, but you can also support St. Rita too!